Hackberry is closely related to sugarberry (Celtis laevigata) and is a member of the elm family. 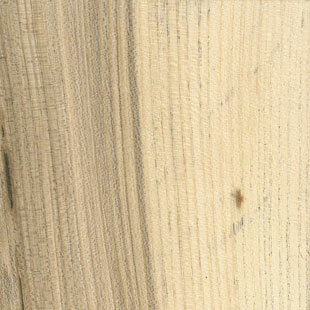 There is little difference between sapwood and heartwood, which is yellowish grey to light brown with yellow streaks. The wood has irregular grain, occasionally straight and sometimes interlocked, with a fine uniform texture. Throughout Eastern USA, although not available in large commercial volumes. There is some export of lumber, mainly in thinner stock and availability of higher grades may be limited.